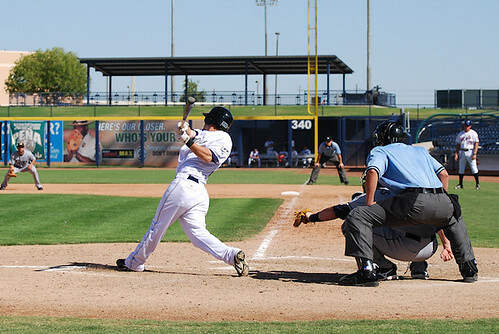 The San Diego Padres’ Sean Kazmar at bat. First visit to Miller Park. 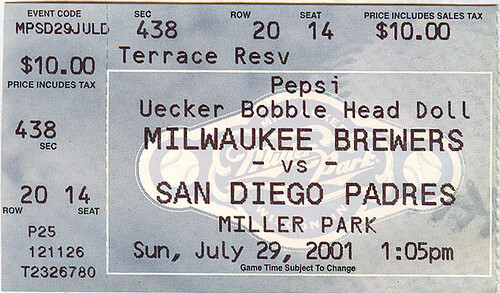 Also Tony Gwynn’s last visit to Milwaukee. He hits a PH 2B though he is ailing. Padres also happen to win this one. This entry was posted on March 20, 2012 at 3:57 pm and is filed under San Diego Padres. You can follow any responses to this entry through the RSS 2.0 feed.